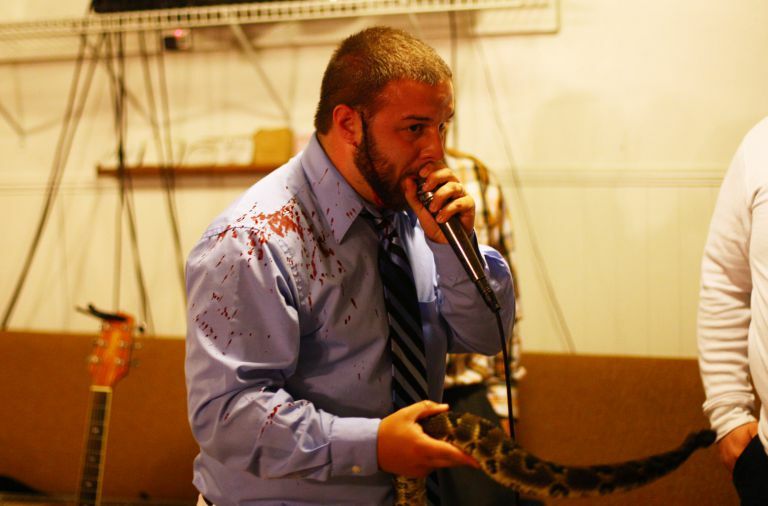 A pastor whose father died within seven minutes of being bitten by a snake has himself had to have emergency treatment after suffering the same injury. Cody Coots asked his congregation to take him to the mountaintop where God would judge whether he lives or dies. However, a defiant follower takes him to hospital instead where doctors told him the snake came close to severing the temp0ral artery, which would almost certainly kill him. 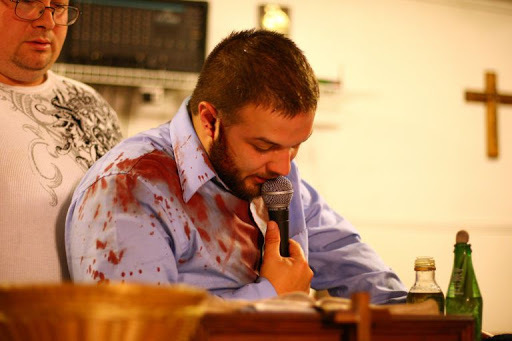 His father Jamie Coots died at the age of 42 when he was bitten by a rattlesnake in 2014 at the same Full Gospel Tabernacle in Jesus’ Name church in Middlesboro, Kentucky. 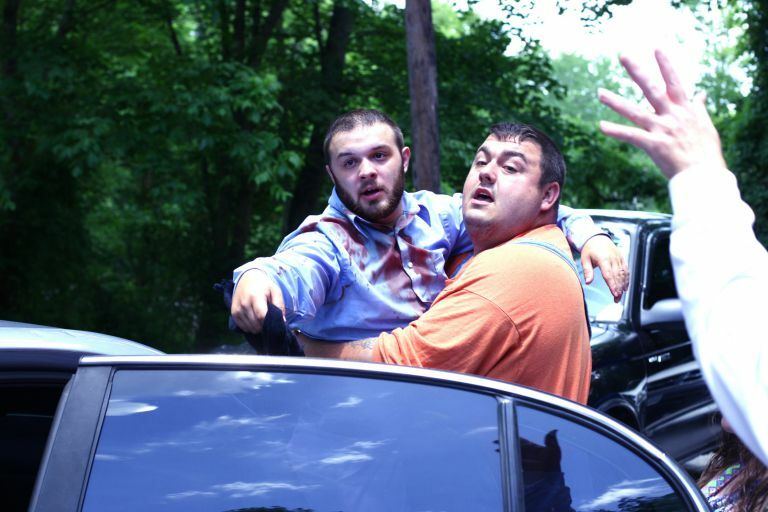 ‘They will pick up serpents, and if they drink any deadly poison, it will not hurt them.’ Pastor Cody can be seen with blood all over his shirt before he is rushed to hospital. He’s now started to re-evaluate his life and faith in wake of his brush with death. But Cody and his congregation’s beliefs mean they continue to risk their health – and lives – at their Sunday services. 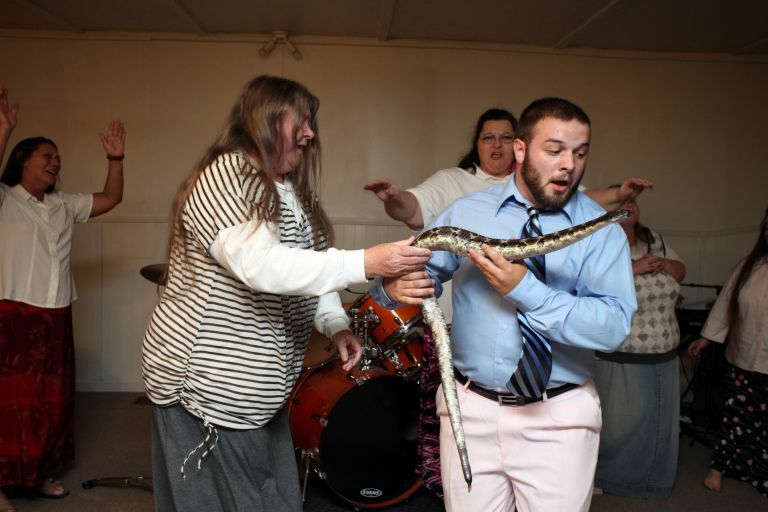 During the services worshippers lay hands on the sick, pray, sing, and listen to sermons led by Pastor Cody, who often picks up snakes from a box and carries one or two of them aloft while he preaches.